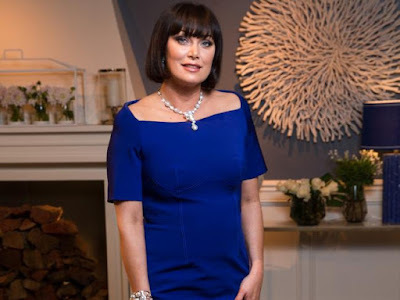 iRealHousewives | The 411 On American + International Real Housewives: Real Housewives Of Sydney Star Lisa Oldfield Hospitalized After A Bad Reaction To Medication And Is Recovering After Being Diagnosed With Pulmonary Edema! Real Housewives Of Sydney Star Lisa Oldfield Hospitalized After A Bad Reaction To Medication And Is Recovering After Being Diagnosed With Pulmonary Edema! It's been reported that Lisa Oldfield was recently rushed to hospital after a recent health scare. The Real Housewives of Sydney star was pictured with an oxygen mask inside the emergency room of a local hospital on Tuesday. Entertainment reporter Peter Ford told The Morning Show that Oldfield was diagnosed with pulmonary edema as a result of medication she was taking. It is unclear what medication the mother-of-two was taking or what it is being used for. "She is in hospital and you can see the oxygen mask attached," he said. "There were seven litres of water retention, a lot on her lungs." He added: "She is in good hands. She is on the mend. As we know, she is a special friend of The Morning Show." Lisa, the wife of former One Nation leader David Oldfield, appeared fragile and withdrawn while laying in a hospital bed, in a photo shared on Sunrise, reports The Daily Mail Australia. Oldfield gave an update on her health via Instagram. The controversial reality star shared a picture of some nice flowers with the following caption: "#fluid starting to drain from my #lungs and feeling much better ! Then just felt like a #princess when my dear darling @johnmcaldwell_ sent me these divine #heritage #roses ! Thank you JC you are one of #naturesgentlemen @kiis1065." Resting up in #hospital treating myself to a @nutrimetics_aus_nz #platinum #lighttherapy ! My skin is #plumper #smoother and feels amazing ! This #device is $250 and #limitededition - contact @louisebuechner to order yours today !